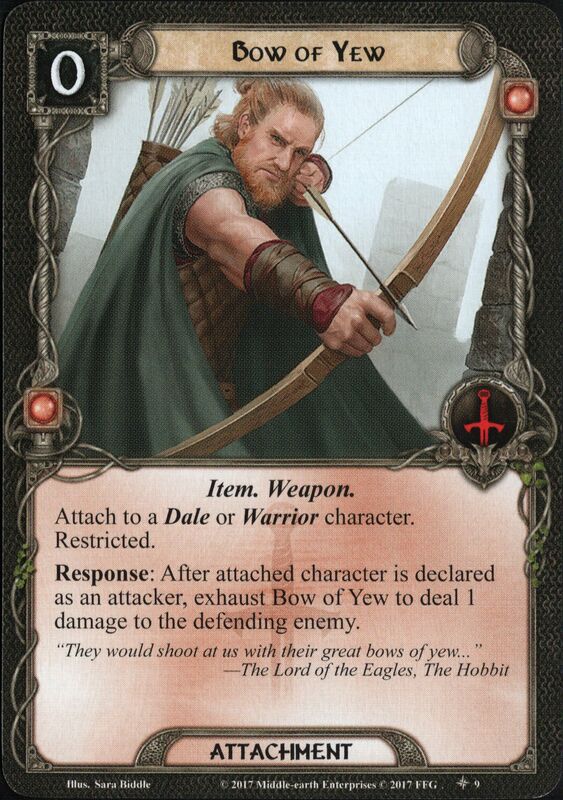 Attach to a Dale or Warrior character. Response: After attack character is declared as an attacker, exhaust Bow of Yew to deal 1 damage to the defending enemy. "They would shoot at us with their great bows of yew..."